Ireland’s Nobel Laureate for poetry, William Butler Yeats (1865-1939) spent many of his summers with his family in Thoor Ballylee, where he was inspired to write some of his finest poetry. 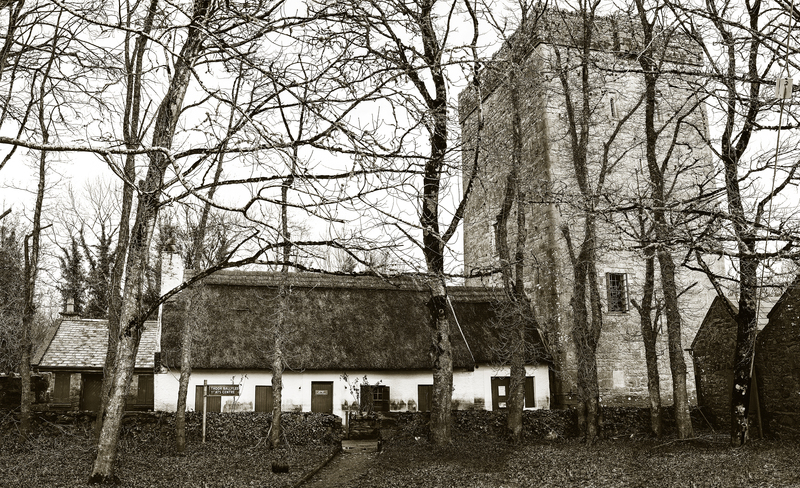 In 1965, one hundred years after his birth, the well-preserved fourteenth-century tower was refitted as a Yeats museum containing a collection of first editions, items of furniture and a multimedia visitor centre. However, local floods caused the tower to close in the winter of 2009-10. In February 2012, Fáilte Ireland made repairs to the tower, which remains in a sound condition, but it remained closed to visitors. In 2014, a local community group, the Yeats Thoor Ballylee Society arranged to lease Thoor Ballylee from Fáilte Ireland to develop it into a worldclass cultural centre with the plan to reopen the tower in time for the Yeats2015 anniversary, 150 years after his birth. The Society is cooperating with the Yeats2015 steering committee, the Yeats Society Sligo and the International Yeats Society to ensure that Thoor Ballylee is an integral part of the Yeats2015 celebrations. With the support of people around the world the Yeats Thoor Ballylee Society aims to bring this project to fruition and sets out opportunities for potential sponsors to fund and gain recognition as supporters of the ambitious project. The Yeats Thoor Ballylee Society aims to energize local and international supporters who care about literature and heritage, to foster a collaborative approach among the culture, tourism, business and academic communities, in order to deliver a worldclass cultural centre, in time for Yeats’s 150th anniversary in 2015. 150 years after his birth, W. B. Yeats is regarded as Ireland’s finest poet. His name stands as a symbol of the arts, a bit like the ever-changing but always recognisable chestnut tree at the end of his great poem ‘Among School Children‘. Like this tree, the work of Yeats is deeply rooted, strong, creative, and full of beauty. For his 150th anniversary in 2015, we will fulfil Yeats aspirations to restore his home and deliver a worldclass cultural centre in Thoor Ballylee. Deliver a world-class cultural centre, café and meeting area in Thoor Ballylee. Develop Thoor Ballylee and the surrounding area as a sustainable cultural destination close to the Wild Atlantic Away. Raise awareness and greater understanding of the lives of W.B. Yeats and Lady Gregory and their impact on the social and cultural life of the area and the nation. Create an international literary education program that promotes the study of Yeats as well as Irish literature and culture. Involve the local community in the project through a shared sense of ownership, encouraging active participation in the process. As a local community group, we need your help to kick-start this vital project. Come along to our public meetings, attend our cultural events, volunteer to help, and spread the word: follow our blog, like our facebook page, and, most of all, tell your friends about the project. 2015 sees the launch of our fundraising campaign. You can donate any sum, large or small, and you join us as a Yeats Thoor Ballylee Friend. There are also opportunities for donors and sponsors to fund and gain recognition as key supporters of this ambitious project.